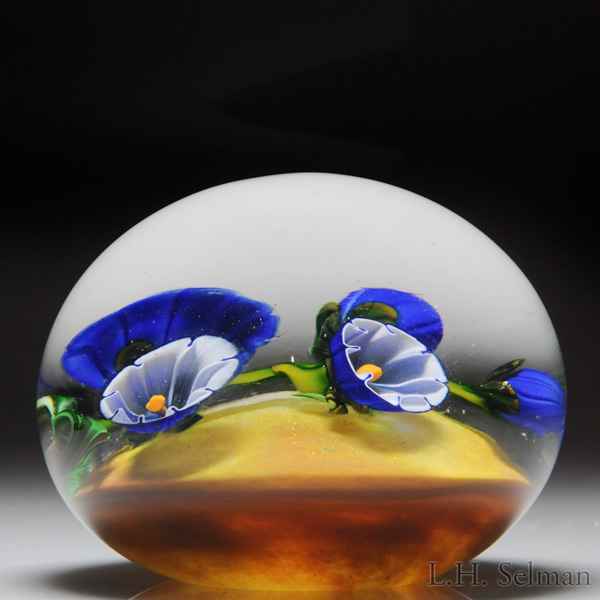 Eric Hansen 2014 blue morning glory bell flowers paperweight. A long curving stem carries pairs of morning glory blooms, three of the blooms exposing their ruffled white interior and yellow central stamen, over a translucent yellow and brown cushion ground. Signature cane. Signed/dated. Diameter 3 3/16".